I borrowed the tablecloth from my sister, Theresa. Placemats are from Home Goods. 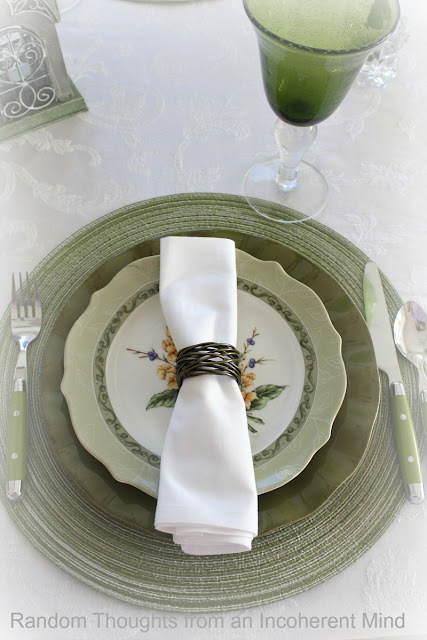 Green dinner plates are Better Homes & Gardens from Walmart. Green flatware is Cambridge from Home Goods. Napkin Rings are from Kmart, napkins are from ? Green bubble goblets are from Target. Salad plates were borrowed from my Mom. Each plate is so pretty showcasing a different flower. The plates are from Princess House. I love their wavy edges. and the lantern from my sister, Joann. Crystal candle holders are by Mikasa. I love that if I need something, I can send out the "bat signal"
I have to admit that seeing all this green really boosted my spirits. It makes me feel like Spring is coming! So pretty! Would be great for St. Patrick's Day! 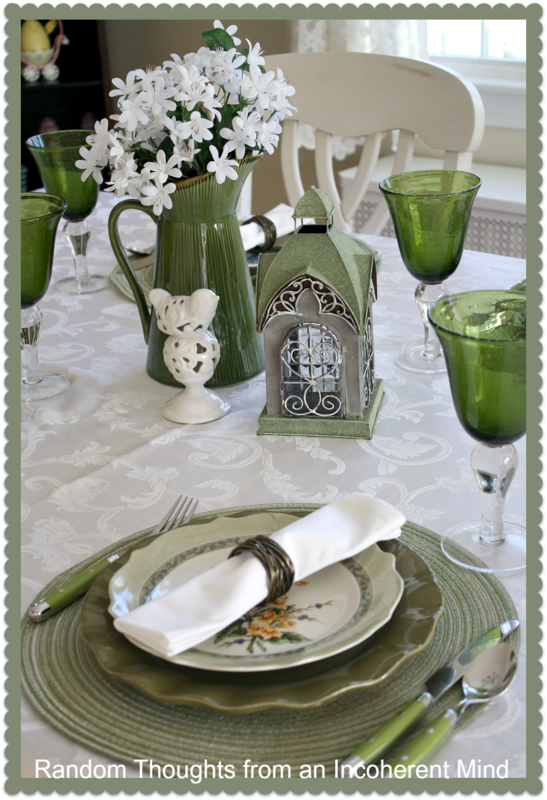 Gina, your table looks like Spring and St. Patrick's Day at the same time! 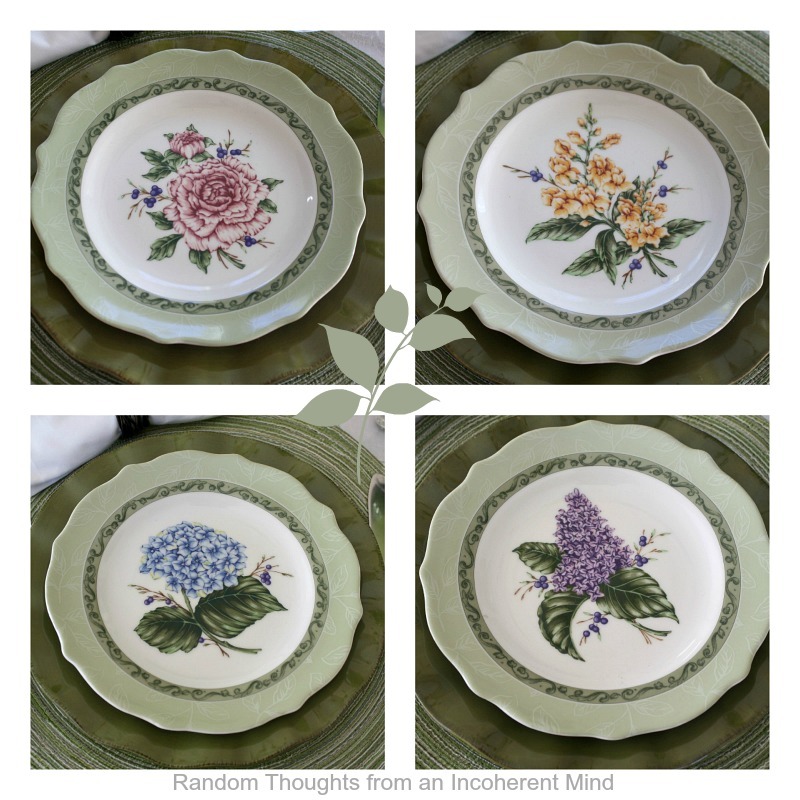 Those plates with the flowers are so, so pretty and all of your green on the table is definitely Irish. Great job! P. S. I have those same Mikasa candle holders!! I hope your mom and sisters read your blog! The table is lovely. Well, you pulled together a beautiful table Gina! It looks just right for a St. Patrick's Day celebration! I love that your Mom and sisters are always there to help you out, Gina! What a pretty table... love those WM dishes!! Happy St. Paddy's Day! Gina that is so pretty. Lucky you to have such a great bat squad!! Oh Gina, this table is beautiful, whimsy and happy. Your Princess House plates are lovely and perfect for St. Pat's too! Happy St. Patty's and Easter..I love the spring look too. I have your green glasses in the clear. I have seen them in red and amber but not the green before. And I like 'em. First, I'm glad that the "bat signal" works for you!!! That's funny!!! It's great to have people who are willing to let go of things for a while to let us play! 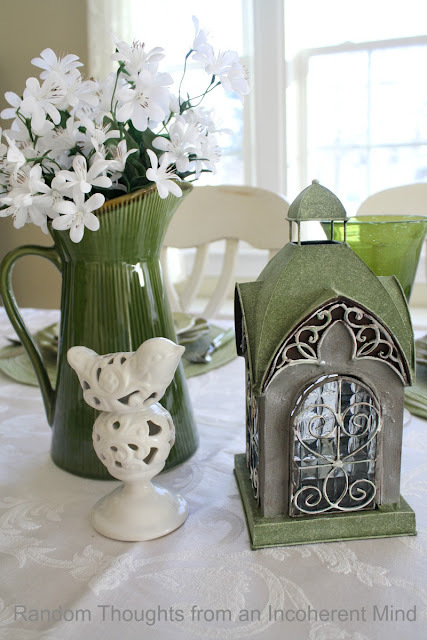 :-) This is a really pretty, soft, Spring-y table...and I love its versatility. Your Princess House plates are just so sweet! I love that they are in different patterns instead of just one...lots more interesting! Have a great weekend, Gina! Everything is beautiful. I love those plates and the goblets are awesome. Great job! Beautiful Gina. I especailly love the flower plates. They make me GREEN with envy. lol! Oh heavens Gina, your table is so pretty. Aren't you lucky to have family to borrow needed items from, then you don't have to store them? Beautiful! 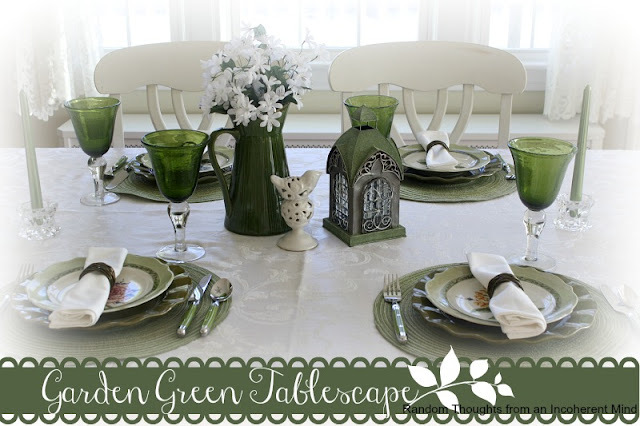 I love the shades of green you incorporated, and your mother's salad plates added the perfect touch! Those salad plates are adorable...oh and what time are we expected? I seem to have forgotten!! Gina, beautiful table...I am in 7th heaven with all the green this week! Love the plates, and the stemware has me drooling. Gina, another gorgeous tablescape! Green is my favorite color and I just love every detail. The dishes are amazing! Probably one of the most gorgeous - also due to its simplicity - Tablescape I've seen lately. A Table that demands for fun conversations and pure enjoyement on eachother's company. Just perfect! Looks like a breath of Spring! The little house is just perfect! 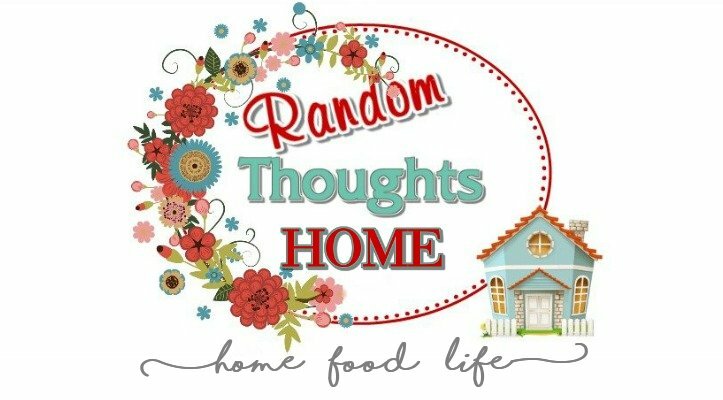 Thanks so much for crawling in the St. Patrick's Blog Crawl! Oh Gina, that is SO AWESOME. I think that's one of the best tablescapes I have ever seen. I looooovvvvveeeee green and love what you created. yes it is nice when you have family that ever runs to one's rescue. 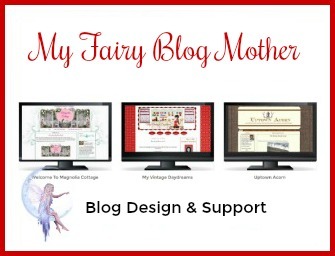 They gotta love seeing it on your awesome blog! 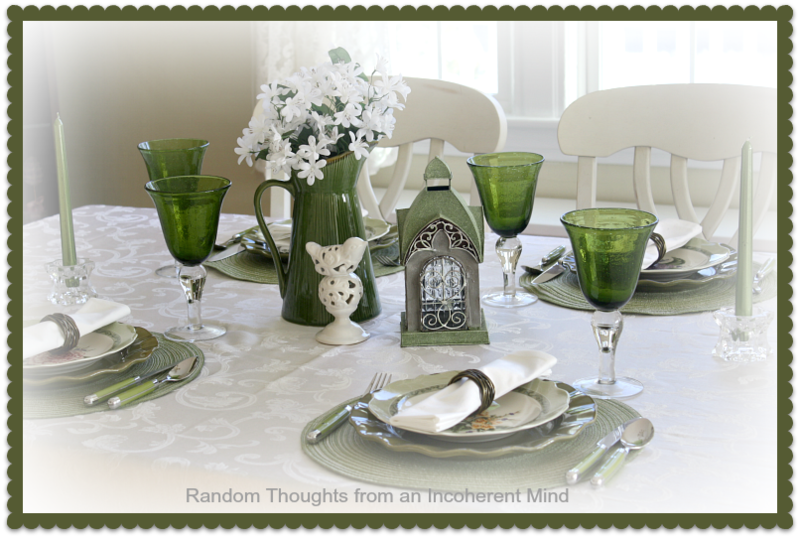 Your tablescape is just lovely, Gina! The PH plates are beautiful. Greens and turquoise seem to be my "go-to" colors for now, anyway -- I'm especially crushing over turquoise! Somehow I missed this post :/ I LOVE YOUR GREENS!!!! This is a very pretty spring table, especially for St. Patrick's Day. This is what I was talking about Gina! Another beautiful tablescape. You're awesome. Thanks for the inspiration.